Doctors and nutritionists often tout the importance of intaking a daily dose of fruits and vegetables. Adding fresh produce to your daily diet have been shown to improve both physical and mental health. Yet, whether due to a lack of time or energy, many of us don’t necessarily get enough. One quick and easy way to squeeze more fruits and vegetables into your diet is juicing. For those who are constantly on-the-go, juicing is a perfect way to pack more nutrients into a busy lifestyle. Juicing has dominated the health world by a storm and it’s not difficult to see why. The benefits of juicing are endless and hold many key advantages. Juicing is the fast track method of loading up your body with concentrated amounts of vitamins, antioxidants and minerals. The natural sweetness of the fruits combined with the nutrient dense vegetables makes juices easy to drink without having to add sugar or other flavoring. Different fruits and vegetables can assist in different benefits. 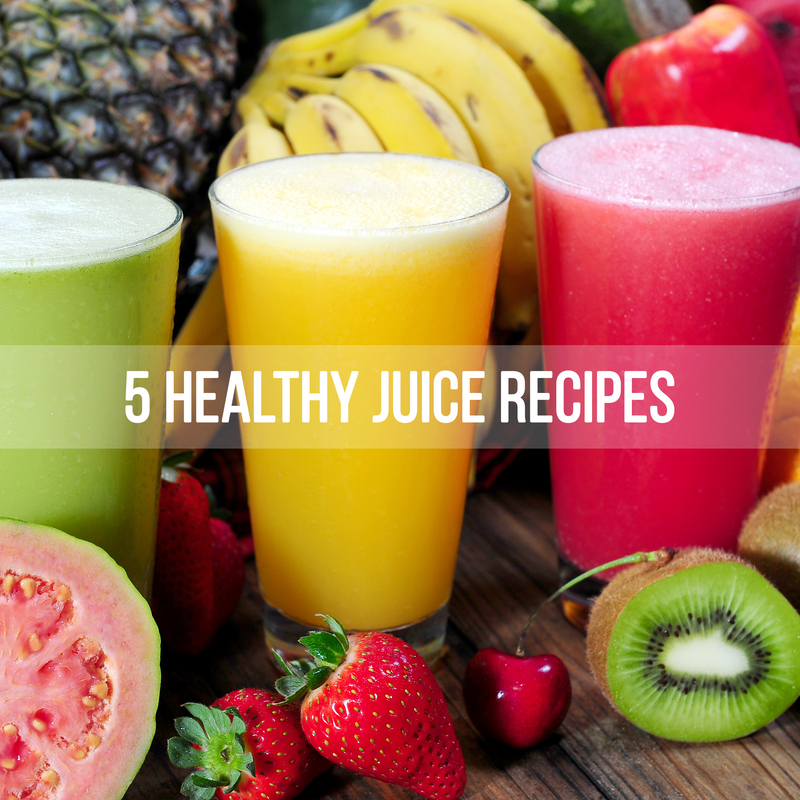 Let’s explore 5 simple juice recipes that are both healthy and delicious. 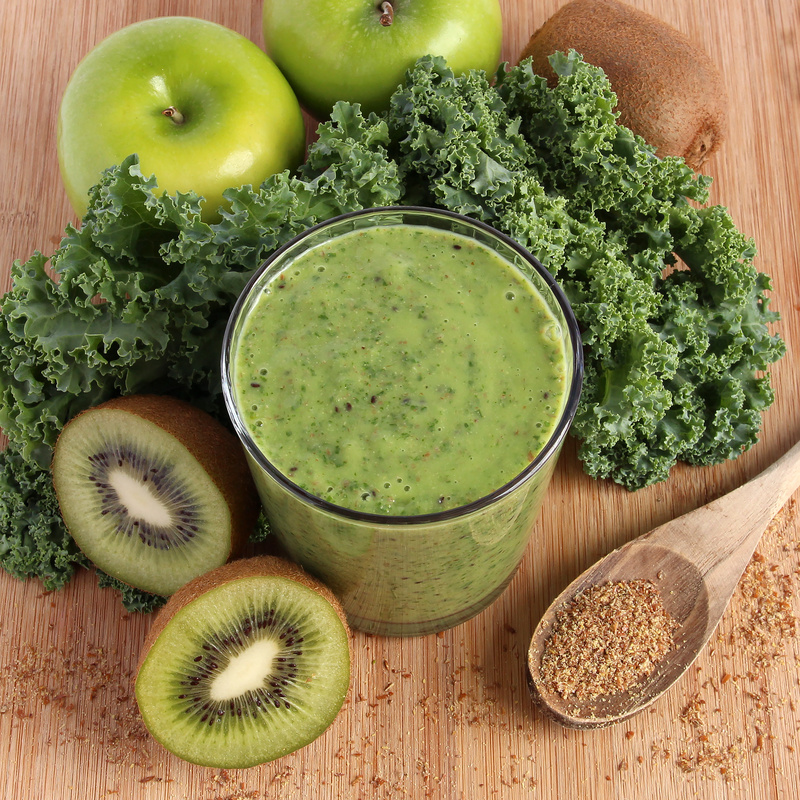 Green Juice – For optimum health – An entire day’s worth of vitamins can be found in green juice. There are many health benefits associated with drinking green juice such as improved energy, immunity and weight loss assistance. 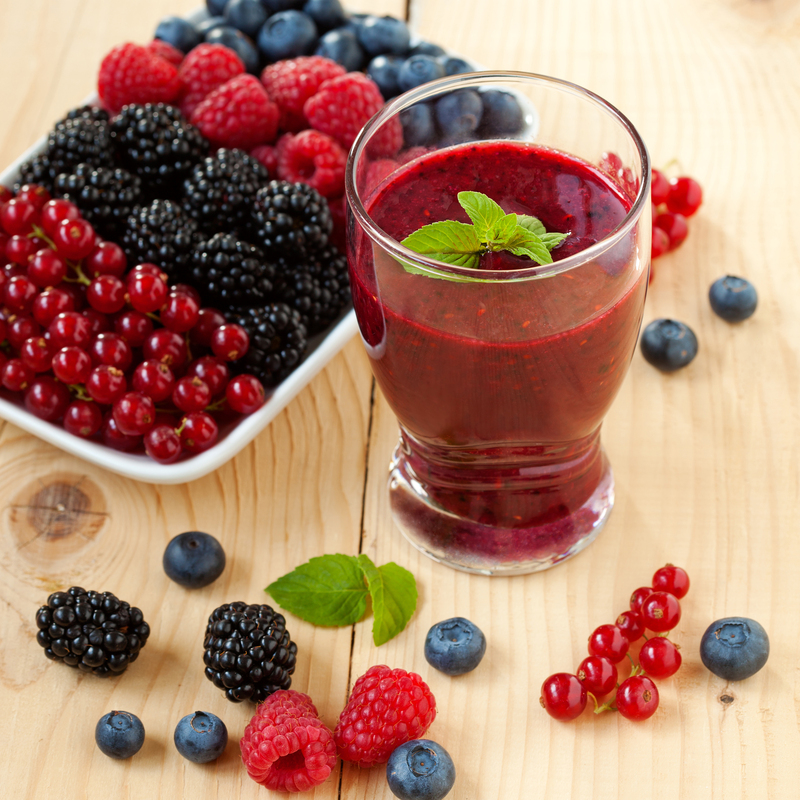 Red antioxidant juice – For an antioxidant boost – Berries are known to contain high levels of antioxidants, vitamins and minerals. The different berries you choose to add to the juice will have many various advantages. For example, acai berries help to increase metabolism and assist in weight loss. Cranberry juice is great for detoxifying the body and eliminating bad breath. Strawberries have a high concentration of Vitamin C. However, while berries are incredibly healthy, because of their high sugar content, nutritionists warn against drinking high quantities of berry juice. Energy juice – What’s the secret for having more energy in the day? Juicing with mineral dense fruits and vegetables will give you that boost that you need to go about your day. 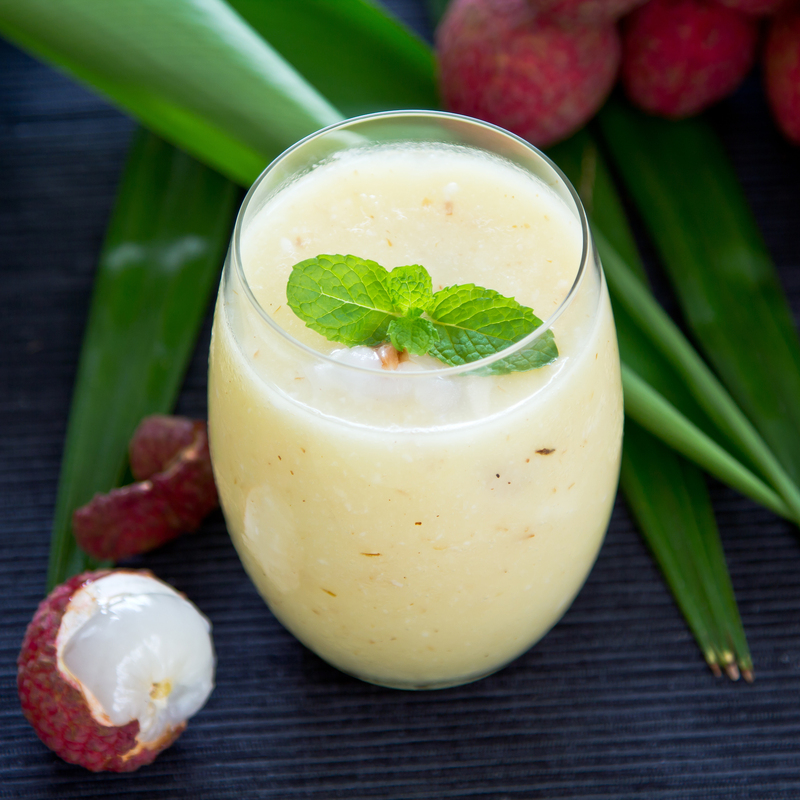 This juice, shown above, gets its natural sugars from the lychees and pineapples while the coconut water promotes hydration with a hearty dose of electrolytes. However, if you’re looking for energy-promoting juices, you’re in luck, because this type of juice can be made with a wide variety of produce combinations. Make sure to put plenty of greens in the juice because greens always contain the most nutrients for energy. 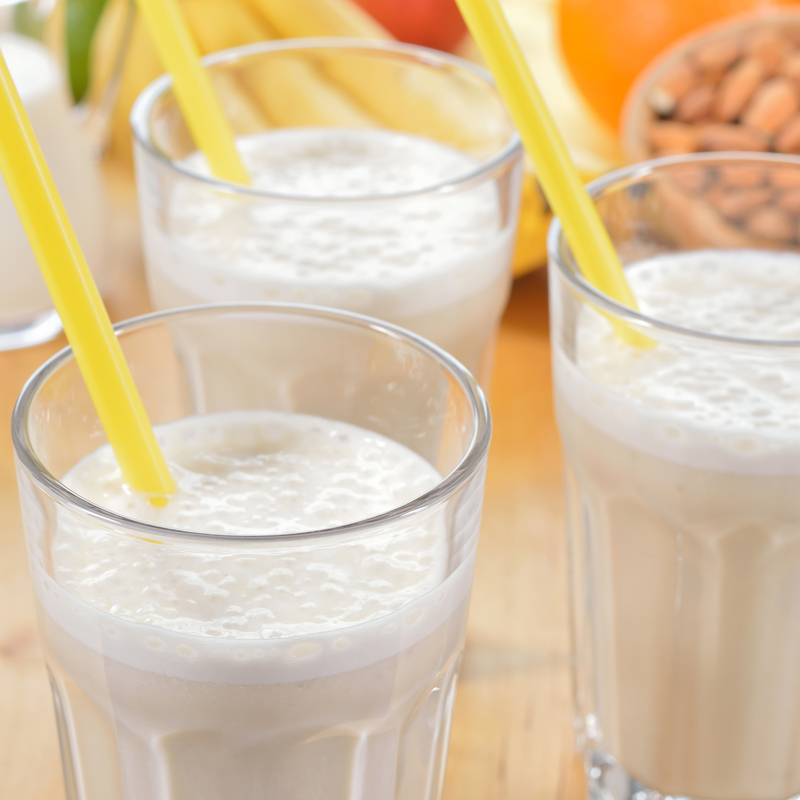 Post work-out juice – A hard workout deserves plenty of replenishment. Not only is it important to rehydrate your body, it’s also imperative to restore any electrolytes lost during your workout. Drinking post-workout friendly juices helps to encourage faster healing of your inflamed muscles and prevent cramping. Consuming the right fruits and vegetables can help speed up your recovery time swiftly. Make sure to also get plenty of protein in as well. Detox juice – Because of the foods we eat during modern times, rarely in the diet is the body able to cleanse itself. Unfortunately, when the body has too many toxins, it can lead to a weakened immune system. That’s why it’s important to detoxify yourself with plenty of cleansing nutrients. Consuming fresh fruits and vegetables has been shown to detoxify the body and assist in the process of cleansing the body and digestive system. 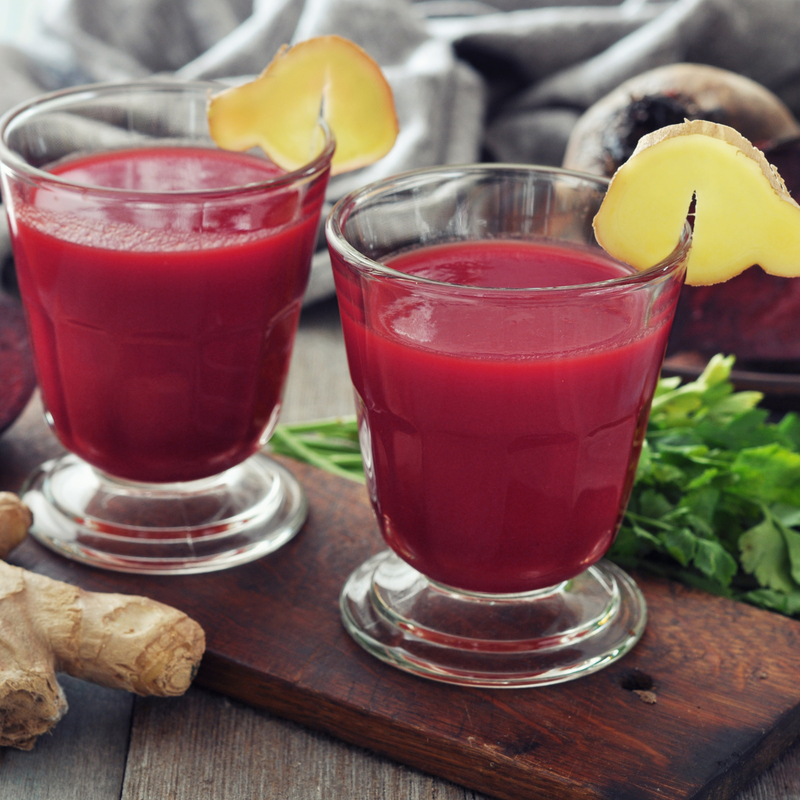 Beet juice has been known to be great for cleansing because of its high concentration in folate, potassium, iron, manganese and Vitamin C. Other root vegetables and fruits that are high in fiber are great for this as well. Are you a fan of juicing? What do you use to juice? Share your favorite juicing combinations with us, we’d love to try them sometime!